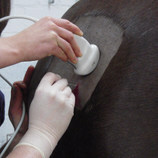 Ultrasonography is more and more used in veterinary medicine. 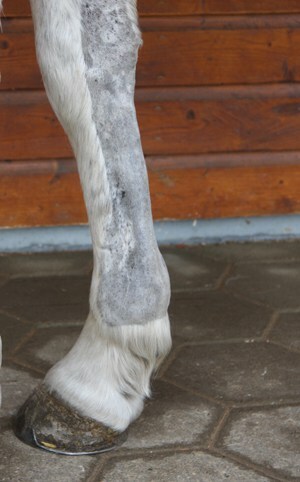 It is non-invasive, not painful, free of any radiation and can be obtained in the standing horse. Energy in form of sound is used to create images from internal structures based on the reflection of sound waves at tissue interface. The ultrasound machine uses electricity to stimulate piezoelectric crystals in the probe to emit sound waves. These waves enter the patient and interact with the tissues. Some of these waves reflect off the tissues and are detected by the probe to create an electrical signal that is displayed on a monitor. The appearance of the final image is determined by many characteristics of the sound waves, the tissues, and the scanning technique. Sound waves are nearly completely reflected from bone and air, so that the main indication for ultrasonography is the presentation of soft tissues as tendons, ligaments, vessels and internal organs. In orthopedic cases or fractures the evaluation of bony surfaces is a complementary modality to radiology. 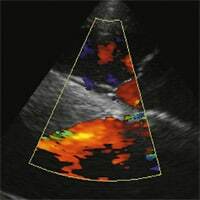 Doppler and color flow echocardiography is an essential diagnostic technique in the investigation of cardiovascular diseases. For ultrasonographic investigations the Bargteheide Equine Hospital has highly qualified veterinarians and modern equipment available. To obtain the best images and stress your horse as less as possible nearly every horse needs sedation. The entire area to be scanned must be clipped, cleaned and rubbed with acoustic coupling gel to obtain good contact between the skin and the probe. 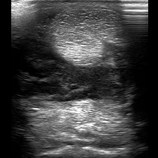 The development of ultrasound for use in equine medicine has resulted in an invaluable tool for the clinician. Nowadays its application area goes much further than just equine reproduction. 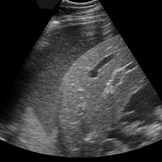 In equine reproduction transrectal ultrasonography is mainly used to assess the mare`s cyclic behavior, her ovarian function and her uterine competence for both natural mating and artificial insemination (AI) programs. 16-18 days after last mating the mare is examined for signs of early pregnancy. Due to our orthopedic emphasis ultrasonography of tendons and ligaments is one of our specialties. With the help of a high frequency probe we can localize even the smallest lesions and find the best treatment and management for your horse. 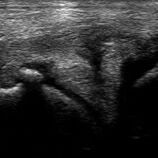 If injections into the lesion are advised ultrasound is used to demonstrate the correct needle position. Regular follow-up examinations every 6-8 weeks help to control the healing progress and individually adapt the trainings program. In case of joint diseases radiography is the imaging technique of first choice. 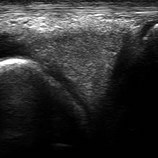 But ultrasonography can be a complementary modality to radiology in illustrating the joint capsule, collateral ligaments, menisci and parts of the cartilage. It is also helpful in localizing isolated fragments prior to surgery to determine the exact surgical approach. 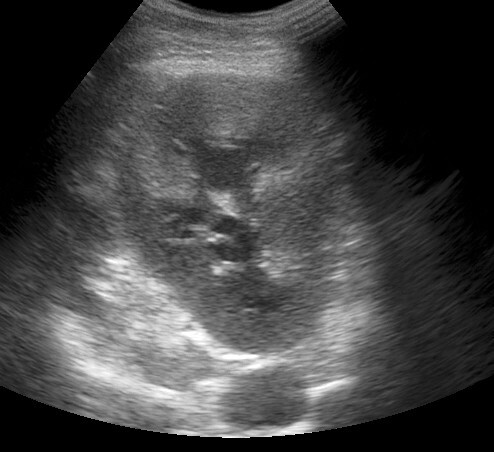 The ultrasonographic examination of the pelvis is very useful on a patient showing severe hindlimb lameness, compatible with a fracture, without physical deformations of the limb. Radiography of this area sometimes requires general anesthesia with the risks bound of the anesthesia and the recovery of the horse. Ultrasonography allows examination of almost all the bony surface of the pelvis and the hip. This diagnostic investigation can be obtained in the standing horse with a linear transrectal 7.5 MHz array for trans-rectal approach and a linear semi-convex 3.5 MHz transducer for the external approach. 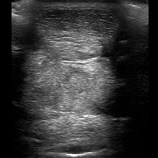 Ultrasonography is the diagnostic technique of first choice in cases of nuchal ligament and/or neck muscle diseases. 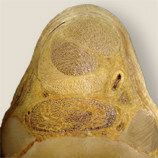 Digital radiography and scinitgraphy demonstrate lesions of the synovial facets and vertebral bodies. Diagnostic ultrasound can be a complementary modality to subtle changes of the facet joints and is used for therapeutic injections when appropriate. Ultrasound examination of the dorsal spinous processes and associated tissues with a 5-8 MHz linear probe may reveal thickening and/or edema of the supraspinous ligament and/or back muscles as well as osteophytes of the dorsal spines and/or facet joints in the thoracolumbar area. Rectal ultrasound can be employed to visualize bony lesions of the lower lumbar vertebral body articulations and a small part of the sacroiliac joints. The advantage of an ultrasonographic needle control to deposit a medication into the exact location is undisputable and enables the best therapeutic effect. We use this technique in cases of local tendon and ligament injuries as well as for joints difficult to access (hip joint; facet joints of the neck). In the field of internal medicine ultrasonographic needle control is very helpful in taking biopsies from internal organs as liver or lung. 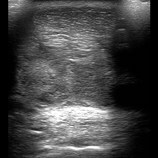 Ultrasound is one of the most powerful tools for making diagnoses in neonatal foals. Because a rectal examination isn`t possible in case of a colic ultrasound provides an insight into the abomen. Small intestinal lesions, enterocolitis and bladder rupture can be easily demonstrated. Other diseases as umbilical inflammation and /or rupture or pneumonia can be early diagnosed. In case of infection ultrasound may also be used to examine the joints. Normal inflated lungs contain air and are therefore highly echogenic. 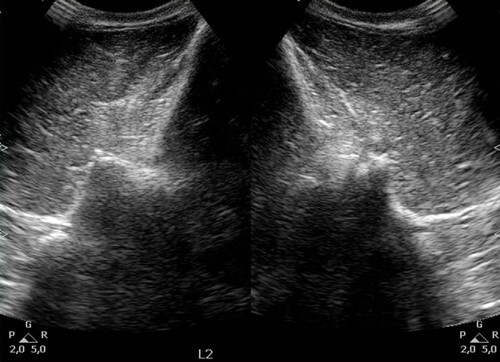 The two pleural layers appear as one thin echogenic line, as the two surfaces are in contact. In case of pneumonia the tissue-gas interface is not present and underlying hypoinflated lung tissue will be visible. Separation of the parietal and visceral pleura in case of pleural effusion is seen as a band of hypoechoic material deep to the intercostals muscles and superficial to the lung. 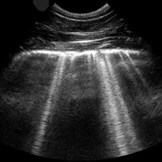 Abdominal ultrasonography contains the illustration of liver, splen, kidneys, bladder and parts of the intestine. In colic patients ultrasound can provide additional information to rectal examination. Cardiovascular diseases require echocardiographic examination for an exact diagnosis and quantification of the severity. Echocardiography will identify valvular pathologies, regurgitations and the degree of ventricular volume overload (see cardiology). 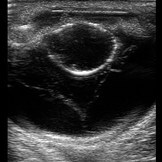 Ultrasonography of the vascular system is used in cases of thrombosis in the jugular vein, aorta, A.iliaca interna and/or externa as well as in the A. femoralis. Constrictions or complete occlusions of the vessels will be illustrated. Examination of the inner eye is difficult if the cornea and/or the lens are cloudy. Ultrasonography requires a proper investigation of the vitreous body and ocular fundus. Acute traumata can result in injuries regarding soft tissues, synovial structures or bones. 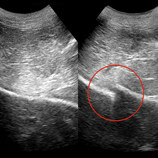 Ultrasound is an easy diagnostic technique to identify the injured structure. It also allows the discovery of wood or other foreign bodies.